Beating the Blues: This NHS Service is available in many areas of Scotland, including Fife. It provides Cognitive Behavioural Therapy (CBT) for people experiencing mild to moderate depression and/or anxiety. The programme consists of eight, one hour sessions completed weekly. It can help you to pinpoint and change unhelpful ways of thinking, which can affect how you feel. It also teaches you more effective ways of solving problems. Your GP can refer you to this fully supported NHS service. You can do the sessions on your home computer/ tablet or using a computer in a local library. Please see your GP for a referral to this service. 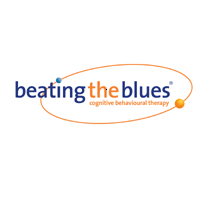 Shortly after your referral you will be contacted by the NHS Beating the Blues co-ordinator. You will then be given a code to access the programme. Relationships Scotland: If you want to talk to someone, or get advice or support about relationships, you can use Relationship Scotland’s online Live Chat. Live Chat allows you to talk to a trained counsellor in real time. Sessions usually last around 25 minutes and this service is completely free and confidential. Childline:Sometimes it can help to chat with somebody outside of your family or friendship circle. Childline counsellors are there to provide chat online or over the phone to listen and support you to come up with ideas on what you could do next. This service is free and confidential.